The TR48B comes with a 48 in. (1220 mm) boom. 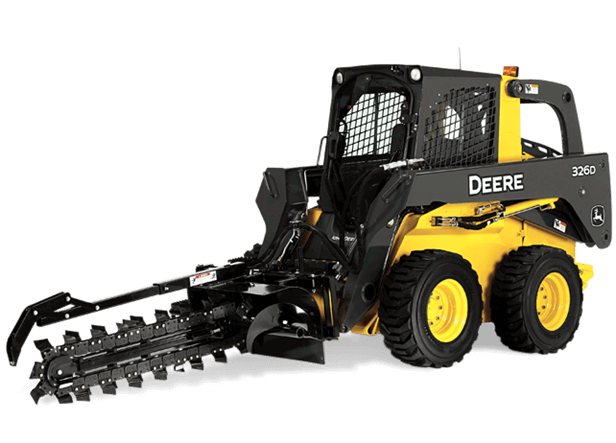 The spring-loaded boom reduces shocks to the hydraulic motor, skid steer or compact track loader, and operator. Manual side shift conveniently allows trenching close to structures.